We met Wade and his pup Beau after they wrote to us saying how much Beau loved his new Freshpet Select recipes after discovering it at their local grocery. After trying Freshpet for the first time, the picky eater in Beau was gone and they haven’t looked back since. Unfortunately, Wade wrote to us again recently saying that Beau had fallen ill. Beau is in the best of care, with his vet and his dad Wade right by his side. But he’s battling a tough infection, and things aren’t looking good at the moment. Wade has shown tremendous resilience, but he cares so much for his Beau and doesn’t want to lose him. He’s keeping up hope, and has asked that we keep him and Beau in our thoughts and prayers as he fights the infection. So, that’s where you come in! 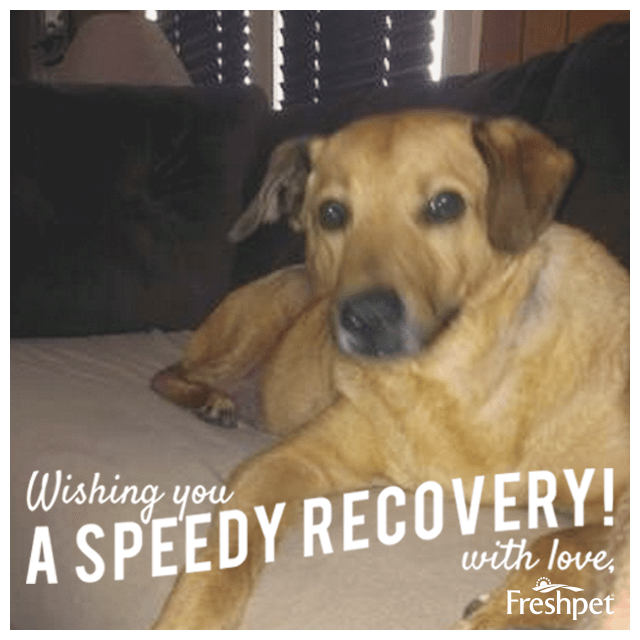 We want to show Wade and Beau that the Freshpet community is pulling for him! Share your well wishes for them in the comments, and we’ll make sure they hear each and every single one of them. Together, we’ll all let Beau know that we’re standing right behind him in his time of need. If you know of a pet or family member who deserves a Tail of Good, we want to hear from you! Email us at [email protected], or send us a message on Facebook or Twitter.